“The Mist” employs a classic head-fake horror structure: Despite its characters constantly screaming, “What’s in the mist?” it really doesn’t matter what’s actually within the mysterious fog that takes over a small, Maine town. The point is how the mist makes the characters react; how fear of the unknown can drive instinctual reactions, and how those reactions reveal their true selves. Among spiritual and existential themes, the mist is about fear, and how we deal with fear. In the new Spike original series inspired by Stephen King’s novella, the mist is about bugs. And bad teeth. And poison, presumably. The show is very much concerned with what’s in the mist, and its pilot operates mainly to make you wonder what other gross stuff will come out of it. In short, it’s less dynamic and more predictable. It’s an easy jump to see how one would take a complicated tale of human morality — “‘Lord of the Flies’ with cool monsters,” as film director Frank Darabont once described it — and turn it into a sci-fi conspiracy story. But those two ideas shouldn’t be mutually exclusive, and through the first hour, they are. Worse yet, its characters are pretty awful. Familiar stock and serving the plot before their own common sense, the citizens of Bridgeton, Maine don’t seem like ideal subjects for any version of “The Mist.” But here we are: Eve (Alyssa Sutherland) is a school teacher who’s suspended for teaching her students how to use a condom. Her husband, Kevin (Morgan Spector), is understanding when she tells him, but she’s far less understanding when he slips up later in the episode. Without getting into too many spoilers, let’s just say their daughter, Alex (Gus Birney), goes to a high school party, and things go badly. The family implodes just as a thick fog begins to roll into town. Each becomes trapped with other local residents, including: Natalie Raven (“Six Feet Under’s” Frances Conroy), the family’s neighbor who gets curious when a horde of frogs hop en masse into her yard; the town sheriff, Connor Heisel (Darren Pettie), who’s a little too rough with his inmates; and a confused soldier (Okezie Morro) with no memory of who he is or where he came from, but who’s deathly afraid of whatever waits inside the mist. 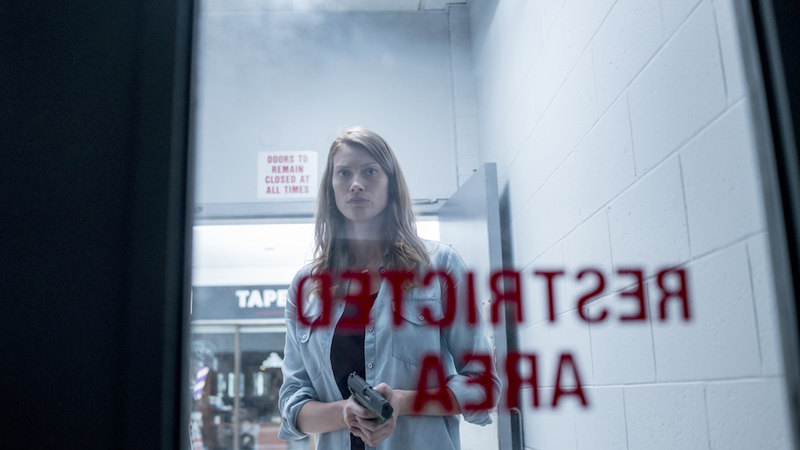 Perhaps it’s that “The Mist” arrives right as another head-fake drama series departs that makes the new arrival look even worse, but there really is a lot to learn from “The Leftovers” in relation to what “The Mist” gets wrong. For instance — and this is your trigger warning for the pilot — a dog dies within the opening minutes of each series. While both scenes will (and did) almost certainly drive viewers to the hills, only “The Leftovers” used animal brutality purposefully. It’s a general rule of film and television not to hurt animals — on screen, at least. “The Leftovers” violated that rule in order to tip off the audience that they wouldn’t be playing by the rules. It used its hour-plus opener to reverse our thinking. When Kevin Garvey (a sweatpants-wearing Justin Theroux) first witnesses a dog get shot, he’s as pissed off as the audience. He spends the episode trying to track down the shooter, but by the end, he’s helping Dean (Michael Gaston) kill the rabid animals because “they’re not our dogs.” It’s a hard lesson to take in, and one many audiences instinctually rejected, but it had purpose. “The Mist” shows a dead dog — in graphic detail, with its organs strewn out behind the only remaining body part (its head) — and it’s only to alert us that, yes, there is something in the mist. One could perhaps argue that this was one of the few ways to convey the mist is merciless; uncaring in its mission to destroy, maim, or manipulate those caught inside. But as much is clear by the end of the episode, even without the dead dog. The rest of the pilot mimics this kind of unnecessary brutality in its most prominent storylines. Most egregious is the unspoiled Alex scenario, which feels almost insultingly trite in its description and incorporation into the story. “The Mist” uses human tragedy as a crutch to create conflict, and none of it feels earned. Arguments don’t make it hard to choose a side, nor are they particularly entertaining, thought-provoking, or necessary. To the latter point, once the mist starts preying on victims, the gaudy gore and preposterous sound effects induce more laughs than gasps, and it feels like they’re meant to do just that. None of the horror scenes are constructed to evoke any sense of suspense. There are a few jump scares, but even timid viewers who hide behind their hands during PG-13 movies (perhaps this critic) have nothing to worry about here. It’s cartoonish when it’s not ethically gross — and sometimes it’s both. It would be one thing if “The Mist” merely chose to go in a new direction. Stephen King’s original novella isn’t exactly a proven entertainment property. (The film made just $25 million domestically, 25th overall out of 39 King film adaptations.) Its story is as harsh as its closing note (especially Darabont’s altered ending), so one could see why a TV show would have to lean into the conspiracy side of things. But you still have to care about these people as they run inside and hide. This version tries to have it both ways — goofy and serious — and leaves viewers on the outside looking in, rooting for the mist instead of those running from it. 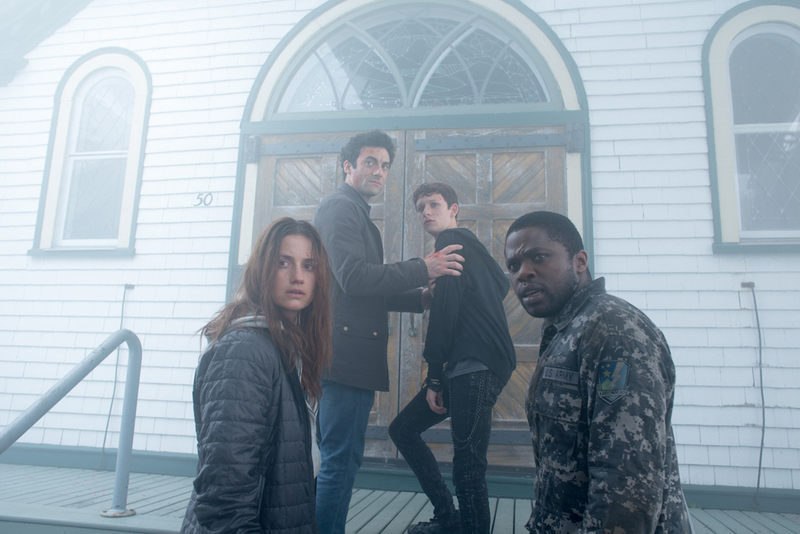 “The Mist” premieres Thursday, June 22 at 10 p.m. on Spike.